JOB LOT OF VINTAGE LONE STAR 000 / N GAUGE LOCO, WAGONS, BP TANKER, COACH x9! 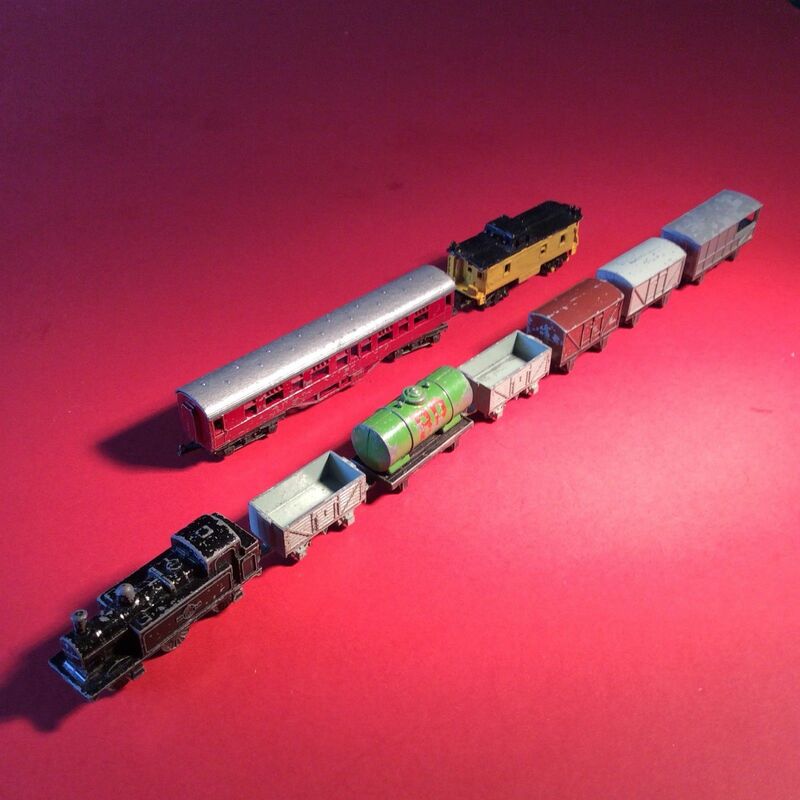 Rare Vintage Job lot of LONE STAR OOO / N Gauge Locomotive, 2 x Coal trucks, 2 x Goods Wagons, 1 x BP Tanker, 1 x Brake Van, 1 x London Midland Region Coach, and an American Truck. 9 items in total please see the photos.